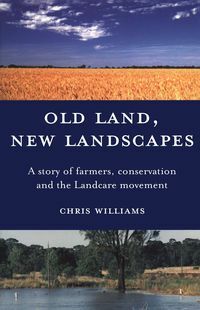 Chris Williams gained his PhD from the University of Melbourne for an investigation of nature conservation practice in rural communities, using ideas and insights from landscape ecology and anthropology. He now works as Conservation Manager for Trust for Nature in Victoria. His interest in land and landscape was sparked by family involvement in farming and conservation. His mother's extended family farmed in South Gippsland and the Mallee, while his father, a university manager, helped set up the Centre for Environmental Studies at the University of Melbourne.